Our mom and me promo is back!!! We are so excited!!! Last year was such a hit, we can't wait for this year's promotion! *Swag bag may not be exactly as show. -Only 5 available!!! All of this for only $249!!! -Sessions must be photographed by September 1, 2018. If session must be extended past September 1, 2018, additional fee's may apply. -Sessions may be upgraded to a full hour session and include dad for an additional $75. We will still get plenty of shots of just mom and her children. Dad will be able to join in on the fun! -A week or two following the session, we will have you back to the studio to view all your images and choose the image for your print. If you wish, additional prints, products and files may be purchased at this time, however there is no obligation to do so. -Offer ends on Mothers Day 2018 (May 13, 2017), or until they are sold out, which happens ever year! -Email us to book! 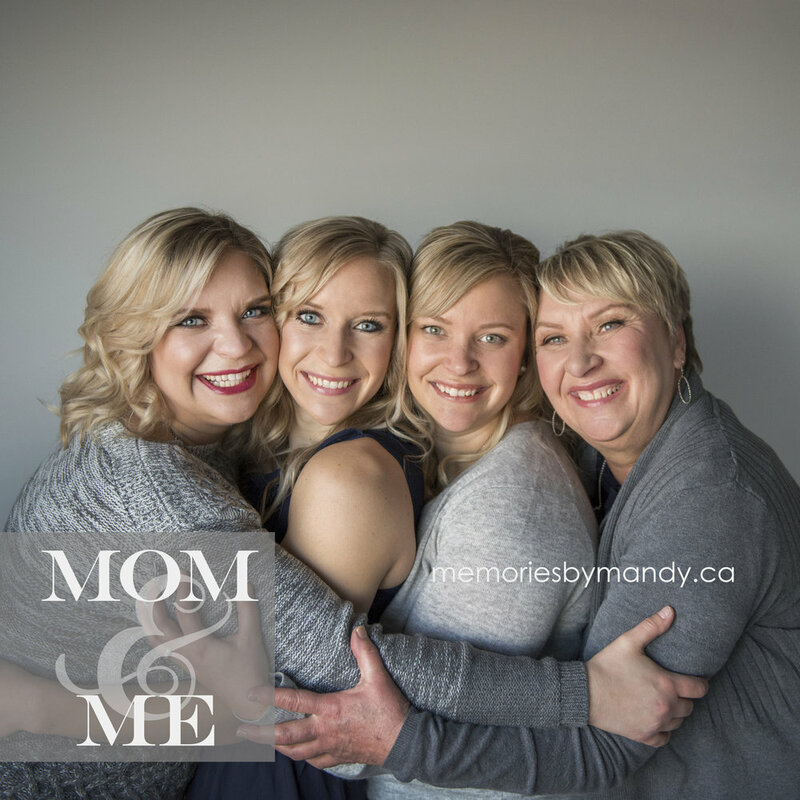 memoriesbymandy@shaw.ca. Or contact us through our website.